Michigan Governor Declares Financial Emergency In Detroit : The Two-Way Rick Snyder said the city could soon have a new overseer, expected to bring the city's dire financial situation to order. Snyder said while it was a sad day, it was "also a day of optimism and promise." The General Motors world headquarters building dominates the Detroit skyline. Saying it was a "sad day," Michigan Gov. Rick Snyder declared a financial emergency in the city of Detroit. He said that while it would not be appropriate to appoint an emergency manager, now, he would think about doing so after March 12. That's the day set aside for a hearing, if the city appeals his decision. "I do have a top candidate," Snyder said during a press conference. "The decision means Motown will soon have a new boss in charge of restructuring Detroit's dire financial mess, likely to include drastic cuts in public services and a top-down rethinking of the type of government a shrunken city with a dwindling tax base can afford. "In many ways those questions have been nipping at Detroit for decades, but the issues came to a head over the last 18 months as increasingly dour economic forecasts found a city unable to address fundamental questions about its debt. "'I look at today as a day as a sad day, a day I wish had never happened in the history of Detroit, but also a day of optimism and promise,' Snyder said." 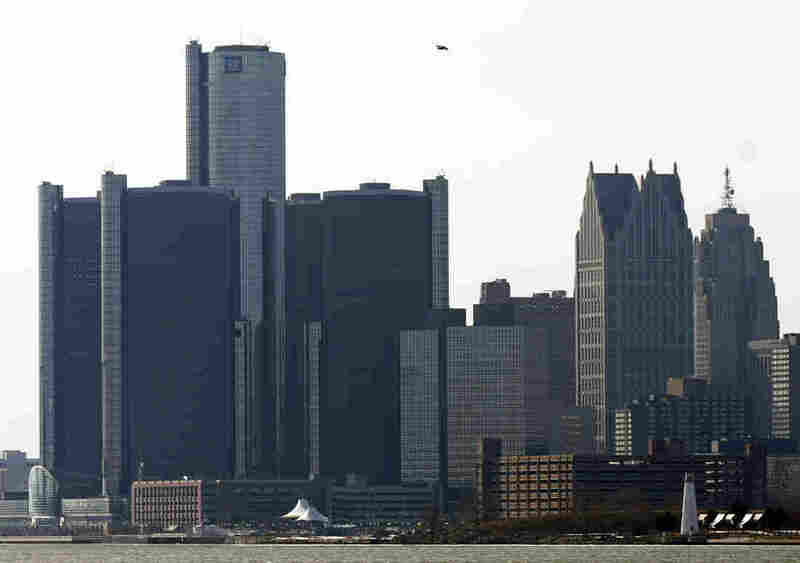 The AP reports that Detroit is facing a $327 million budget deficit and "more than $14 billion in long-term debt." "Emergency managers have the power under state law to develop financial plans, renegotiate labor contracts, revise and approve budgets to help control spending, sell off city assets not restricted by charter and suspend the salaries of elected officials," the AP adds. In a video statement released by Snyder's office, the governor says the biggest reason Detroit finds itself in such trouble is because of the city's massive population loss.